What does it mean to make history now? It’s a motto that Claude Johnson, the executive director of the Black Fives Foundation, adheres to, and it led him to team up with artist Muideen Ogunmola to create art that honors the granddaddies of basketball, the Black Fives. Lifestyle brand ’47 got on board to launch a limited edition collection of hats highlighting the contributions made by the Black Fives. In their third year, the designs were created by Ogunmola and feature patterns and lines inspired by his Nigerian heritage. The “Black Fives” are not one team but rather a name that was given to the all-black teams that flourished from 1904 to 1950. Like most institutions during that time, basketball was segregated. Also known as “colored quints,” Black Fives played in cities across the U.S. 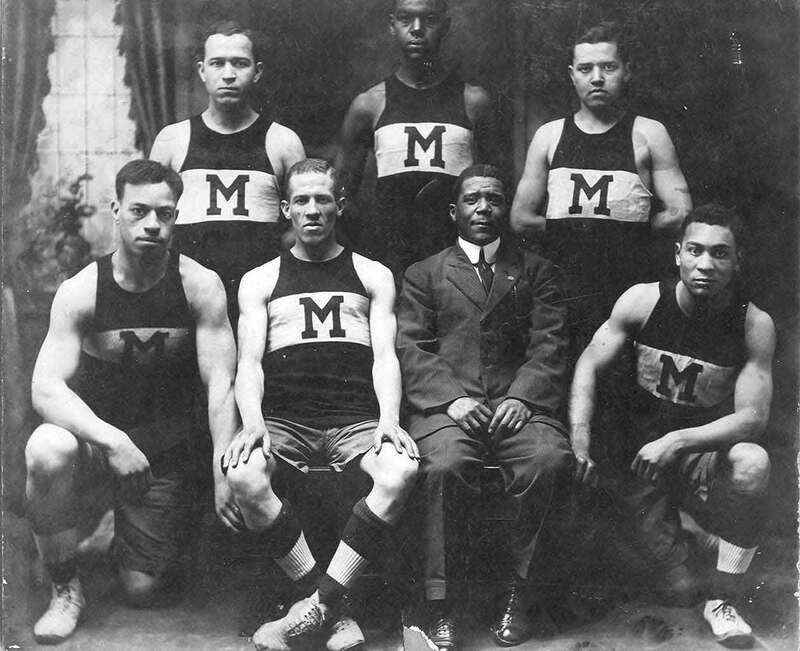 The teams had black owners, black coaches, fans and championships. 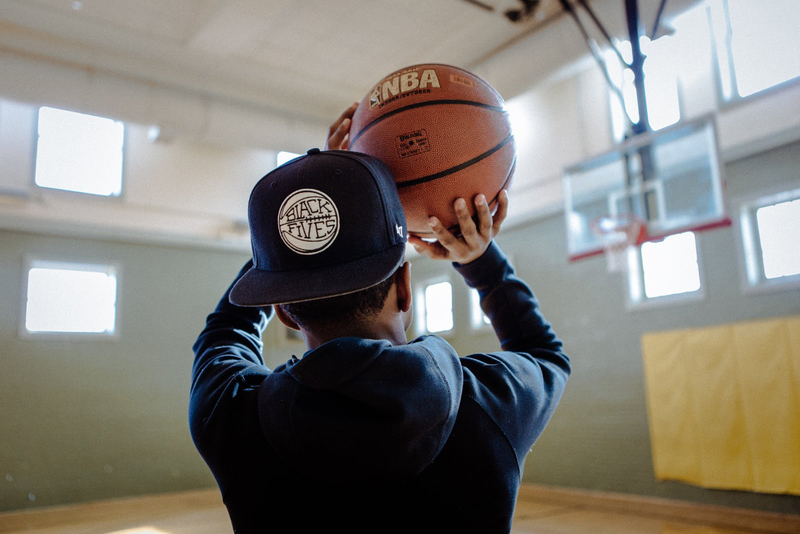 The Black Fives Foundation aims to ensure that this history is learned, and the caps are a part of that. Johnson has pushed the Naismith Memorial Basketball Hall of Fame to formally recognize these players. The Hall of Fame has developed an Early African American Pioneers Committee that aims to induct a person from this era into the Hall every year. Zack Clayton, a former player for several teams, including the Harlem Globetrotters and New York Rens, will be inducted into the Hall of Fame as part of the 2017 class. The “Black Fives” are not one team but rather a name that was given to the all-black teams that flourished from 1904 to 1950. During the Black Fives era, basketball games were advertised like dancing events. Being flashy and having fun was a part of the culture, and the collection celebrates that with bold lines and patterns. The Yo Wadash ’47 CLEAN UP MF is an African-inspired pattern with hidden basketball designs throughout. Another style is the Yo Bruiser ’47 CLEAN UP MF, which has the same pattern but only on the back strap and under visor. Ogunmola had creative control over the line. Fashion and basketball have become synonymous. From Dwyane Wade’s sock line with Stance to Russell Westbrook’s funky glasses line Westbrook Frames, fashion is a logical way to keep the legacy of the Black Fives alive. This new collection marks the third year of the partnership. The first and second years focused on an authentic representation of the original teams and their history, and Ogunmola’s new designs aim to share this history with younger generations through today’s style trends. He’s about making history now.